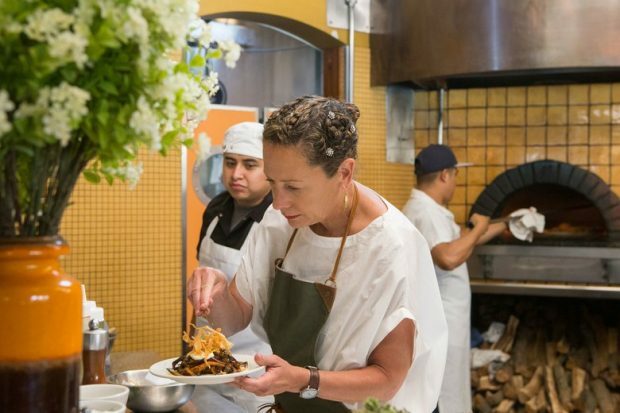 This Week in Nancy Silverton. The celebrated and award winning Los Angeles chef behind restaurants Osteria Mozza, Chi Spacca, and Pizzeria Mozza, has been all over the news lately. First, Silverton is set to open a new Italian restaurant at the legendary Hollywood Roosevelt Hotel. Second, Nancy is celebrating 30 years of La Brea Bakery. Third, Nancy’s famous grilled cheese returned to L.A. with a bang on Pizzeria Mozza’s late menu. And, finally (until next week, at least), Ms. Silverton is headed to Ojai in the coming months to host a food and wine series. Read on for all the details!